Silver chain necklace with Swarovski crystals by Otazu. 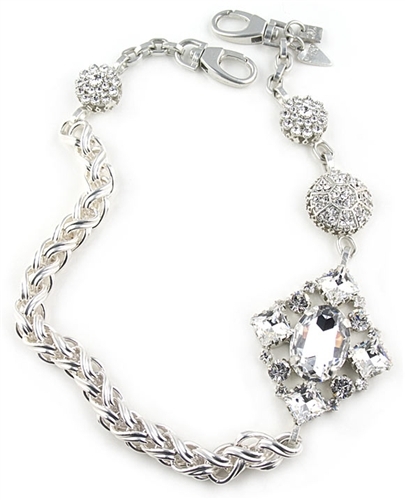 This striking designer necklace features a chunky silver rope-like chain 10mm thick with a 6 x 5.5cm (2.5" x 2.1") square ornament made with swarovski crystals and three charms dress with swarovski. Necklace measures 54cm / 21.1 " in length and has the trademark Otazu charms on the toggle closure. As Seen in Uk Elle Magazine. Length: 54cm / 21.1 ".